Ireland underwent a dramatic economic and social transformation from the 1990s onwards, earning it the title the "Celtic Tiger". Rapid economic growth was accompanied by substantial in-migration. However in the later 2000s Ireland is also experiencing a severe economic recession. 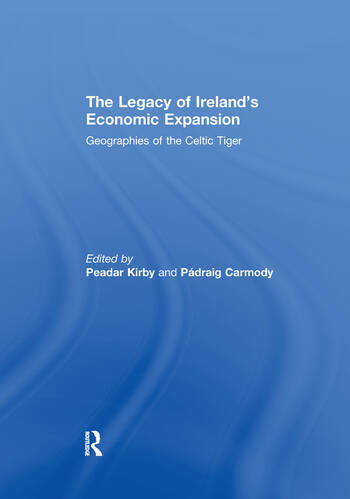 This book examines the nature and geographies of the Celtic Tiger, focusing on the evolution of industries such as information and communication technology and pharamaceuticals. It also examines the changing nature of social ties in cities, trends amongst knowledge workers and the experiences of return migrants. It concludes with reflections on the nature of the Celtic Tiger phenomenon and how this will shape Ireland’s geography and society into the future. This book was published as a special issue of Irish Geography. Peadar Kirby is Professor of Politics and Public Administration, University of Limerick. He is widely published and is an expert on Irish and Latin American development. Pádraig Carmody is Lecturer in Human Geography, Trinity College Dublin. He has published several books and journal articles and is an expert on economic globalization. He is also Editor of Irish Geography.